The Federal Reserve hiked short-term interest rates for the fourth time this year under Fed Chair Jerome Powell. The Fed began increasing rates in December 2015 as the economy started showing signs of strengthening. Since then, the jobless rate has fallen to 3.7 percent, one of the lowest levels in decades, and the stock market has made significant gains. Inflation and wage growth are less than ideal but are starting to inch higher. Higher interest rates affect people differently, depending on whether you’re a borrower or a lender. Homebuyers, homeowners with equity, credit card users, savers and people making car payments feel Fed rate hikes, but in different ways. Mortgage rates depend largely on the 10-year Treasury yield rather than the federal funds rate. But investor demand for government debt and the rationale behind the Fed’s decisions often dovetail. 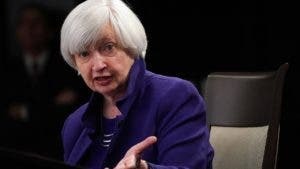 The Fed agrees, believing that the economy can withstand higher borrowing costs. Rates for a 30-year fixed-rate mortgage currently sit at about 4.8 percent. Homeowners who locked in low, fixed-rate mortgages this time last year are winners because mortgage rates are on the rise. If the economy continues to hum along, and investors buy into an American growth narrative, mortgage rates should continue to increase. Nevertheless, rates likely will remain low by historical standards, so people who shop wisely for a mortgage this year can count themselves as winners. Remember, the 30-year fixed averaged 6.74 percent six months before the Great Recession began. Homeowners with adjustable-rate mortgages, known as ARMs, could end up with bigger payments when the next rate adjustment rolls around. ARMs are tied to indexes that are sensitive to Fed rate moves. Get ready for the cost of borrowing against the roof over your head to get more expensive. Comparison-shop home equity lines so you can get cash to pay for home renovations or other financial needs. Many HELOCs have a feature that lets you set aside a portion of the amount you borrow, take a fixed rate on it and then pay it down. Those fixed rates won’t change. Alternatively, if you have a fixed-rate home equity loan, your interest rate won’t change. Rates on home equity lines of credit, or HELOCs, will rise a quarter of a percentage point. Expect it to hit your wallet within 30 days, or by the second billing statement after the Fed’s rate hike. Virtually all HELOCs are linked to the prime rate, which is currently 5.25 percent. 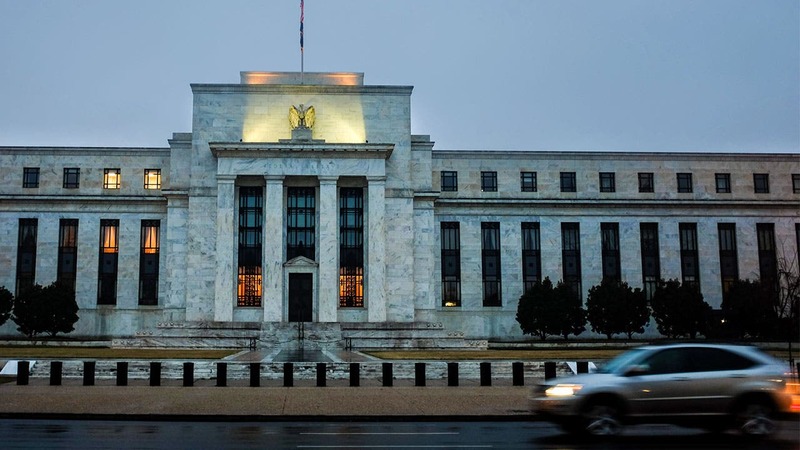 A Fed rate his will immediately raise the prime rate by one-quarter of a percentage point. Many variable-rate credit cards are tied to movement in the prime rate, which is tied to the federal funds rate. When that goes up, your credit card’s annual percentage rate is likely to rise as well. “Only if you carry a balance is this really going to be an issue,” says Eric Lindeen, vice president of marketing at ID Analytics, a risk management firm. The added revenue from credit card interest could ultimately spur financial institutions to reintroduce more competitive deposit products. In other words, “the biggest winners are going to be those that are saving rather than borrowing,” Lindeen says. If you need to carry balances month-to-month, find a low-rate credit card today. If you’re carrying a balance on a variable-rate card, “it’s time to hustle up and get (debts) paid down,” says Greg McBride, CFA, Bankrate chief financial analyst. Shop now for the best balance transfer cards before credit cards with 0 percent interest rate offers become scarcer. Savers might wonder when savings rates will finally return to something resembling normal. The most likely answer: not soon. The December rate hike should make it more attractive to shop for high-yield certificates of deposit. But this takes time. “Fed rate hikes typically mean some increase in interest rates on savings accounts and CDs,” says Don Kohn, a former Fed vice chairman and now a senior fellow at the Brookings Institution. “At least some of it will get passed through in deposit rates, with a lag,” Kohn says. Online savings products tend to offer better yields more quickly. Your cash still isn’t doing much for you, and the Fed will be deliberate as it raises rates to pre-recession levels. If you bit the bullet and opened a multiyear CD recently and it wasn’t a rising-rate CD, you’re going to have to grit your teeth and accept a lower rate until it matures, or risk paying a potentially hefty early withdrawal penalty. The Fed’s action will tap the accelerator on auto loan interest rates, though they’re not likely to rise too much. Auto loan rates don’t move in lockstep with interest rates set by the Fed, but they do follow the trend set by the central bank — and rates have moved up since last summer. Interest-rate rises will be gradual but unstoppable, so the sooner you get an auto loan, the better. Shopping around for car loans and improving your credit rating can win a great rate, no matter what the Fed does. “A couple of quarter-point rate moves by the Fed are small potatoes by comparison,” says Bankrate’s McBride.